My name is Julie Tucker. 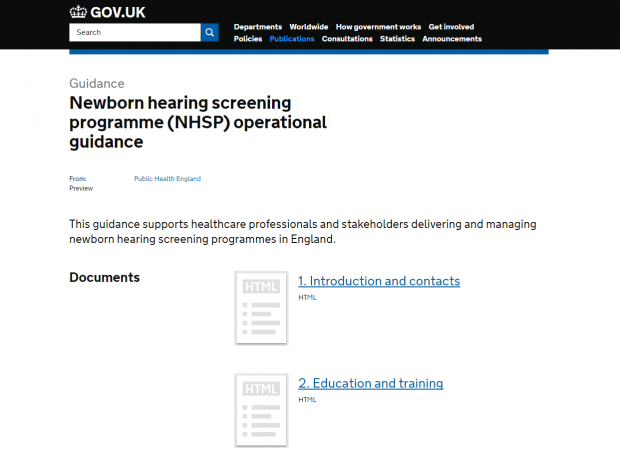 Since late 2015, I have spent the one day a week when I’m not managing the newborn hearing screening service in Oxford writing the new NHS Newborn Hearing Screening Programme (NHSP) operational guidance on behalf of the national team. I believe the national team asked me because of my 14 years’ experience of local programme management. During that time I’ve worked as a quality assurance peer reviewer and been an observed structured clinical examination (OSCE) assessor for newly trained screeners. More recently, my role on the NHSP user group got me be involved in testing the new hearing screening IT system, SMaRT4Hearing. I think they hoped my accumulated knowledge would help me bring together the existing guidance documents, current service specification, equipment protocols and information on the rollout of SMaRT4Hearing. The vast amount of knowledge stored in all these documents was wonderful. We wanted to retain as much of this relevant information as possible to support local services. We wanted the guidance to be fit for purpose for all local NHSP services, no matter when and how they were set up. We also wanted the guidance to enable other stakeholders, such as commissioners and the quality assurance teams, understand what a local NHSP service is and how it works. We hope you’ll find the operational guidance user friendly and easy to navigate, whether you’re accessing it from the contents page or by searching within the chapters. Most of it is in HTML format rather than being a PDF document. This means you can read it directly on the GOV.UK website, from a mobile device, laptop or desktop computer, and don't need any additional software, such as Adobe Reader, to download and open the document. HTML format also makes it easier for us to keep up to date and easier for you to search for what you’re looking for. We have used the care pathway from screen to referral as the journey to take you through the main part of the guidance. We’ve also included answers to common questions in each section. At present we're still using the old eSP reference guide to support you for the national IT system chapter, but we'll include a new SMaRT4Hearing user reference guide in the future. There are also chapters for audiology and aetiology professionals, along with improved national reports guidance. Favourite documents like “Local management tasks” or what to do when there is no IT system have been updated. Top tip: to find specific text within a chapter, use <Ctrl> F to open the search bar in your web browser, type the text you want to find and press <Enter>. What the new guidance looks like on GOV.UK. I’ve very much enjoyed working on this project. 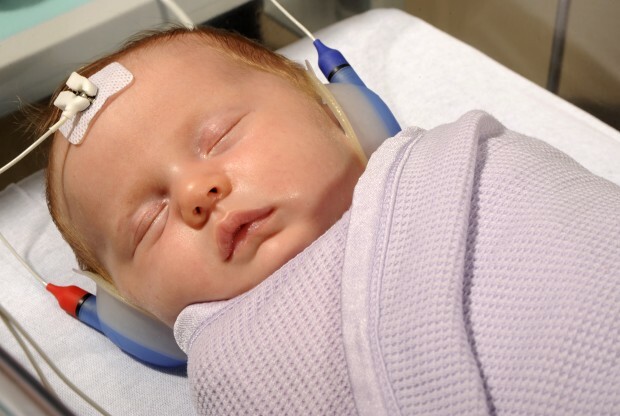 It has opened my eyes, even after 14 years working in newborn hearing screening. I hope it has resulted in what everyone needs to manage – or to help others manage – their NHSP services locally. The NHSP team plans to evaluate the operational guidance in a few months’ time and hope that you will be willing to share your views on how the guidance works for you. If you have any comments in the meantime please don’t hesitate to let us know by contacting the helpdesk. Well done Julie. Amazing job. What a mammoth task, thank you from all of us here in Devon!